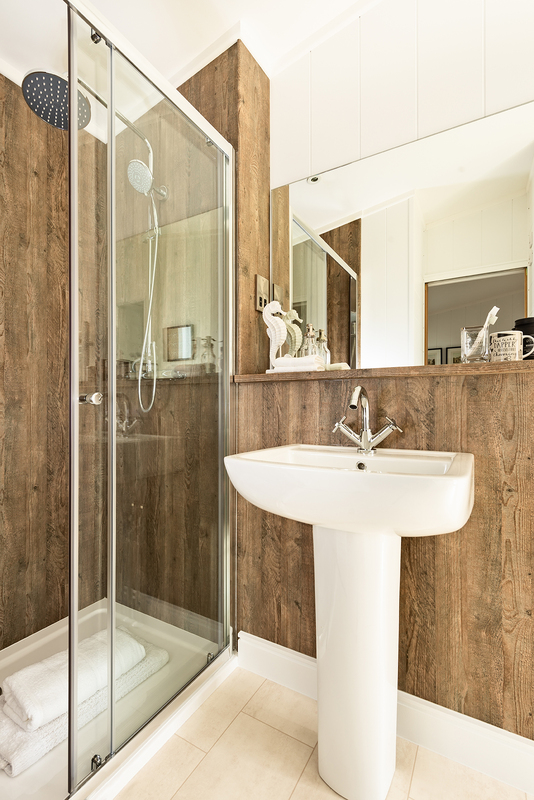 A PERFECTLY TEMPTING HOLIDAY SPA RETREAT! 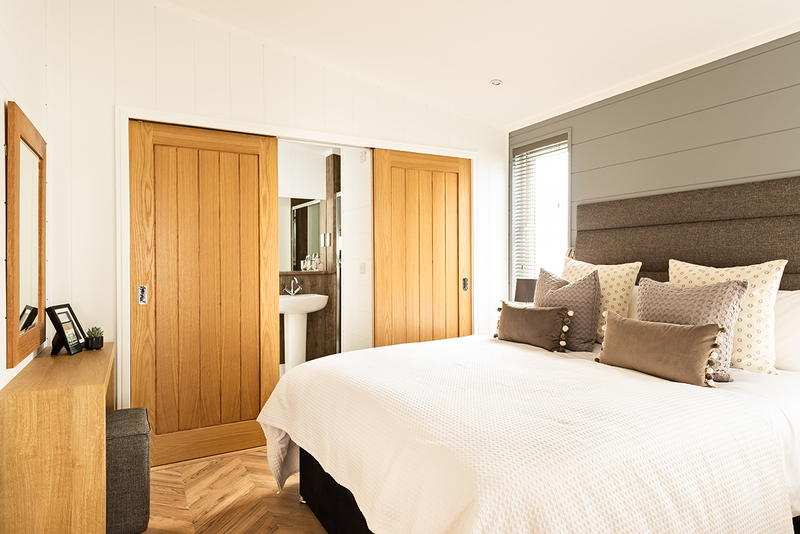 Designed with a relaxing holiday experience in mind the dovecote truly delivers on all levels. 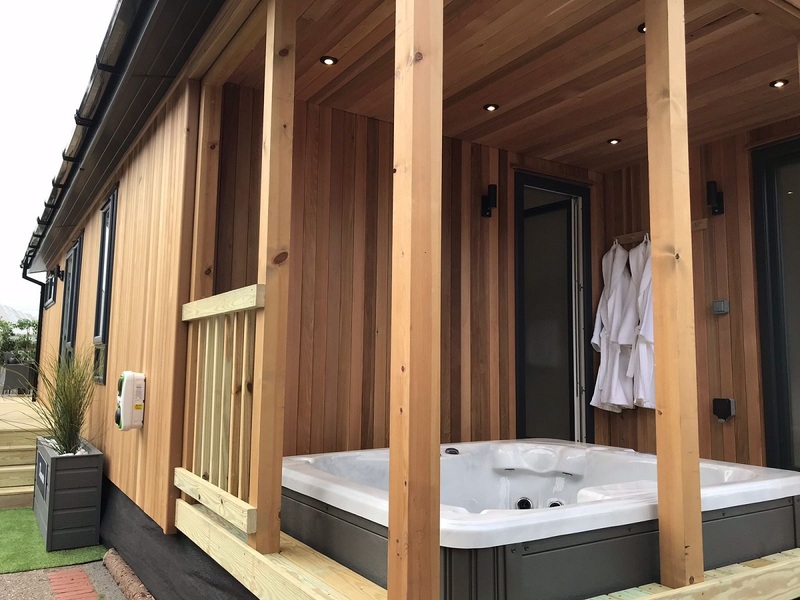 The dovecote is designed with style and comfort in mind and even has its own added wow factor due to its sunken hot tub, ideal to relax in after a long day and extremely appealing to holiday makers. 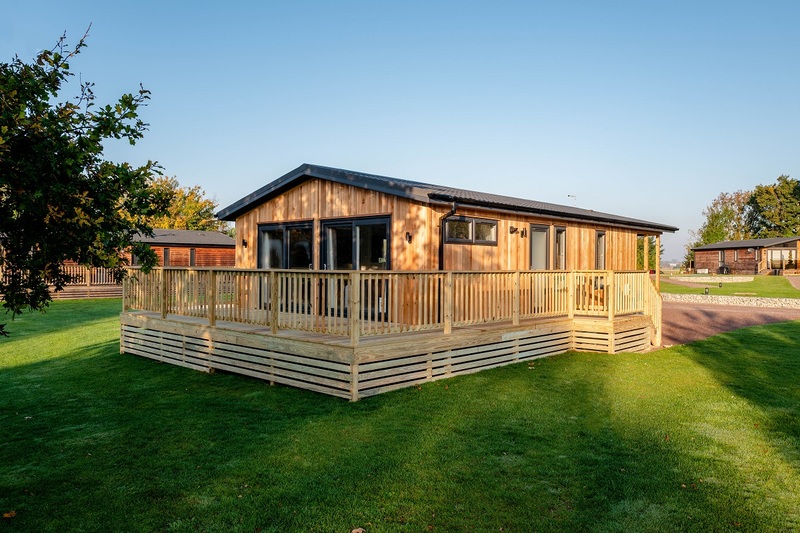 This lodge appeals to all ages and is a flexible model when it comes to its potential target market. Entry via the side entrance leads you directly to the entrance hall, which follows through to the main living/kitchen area. 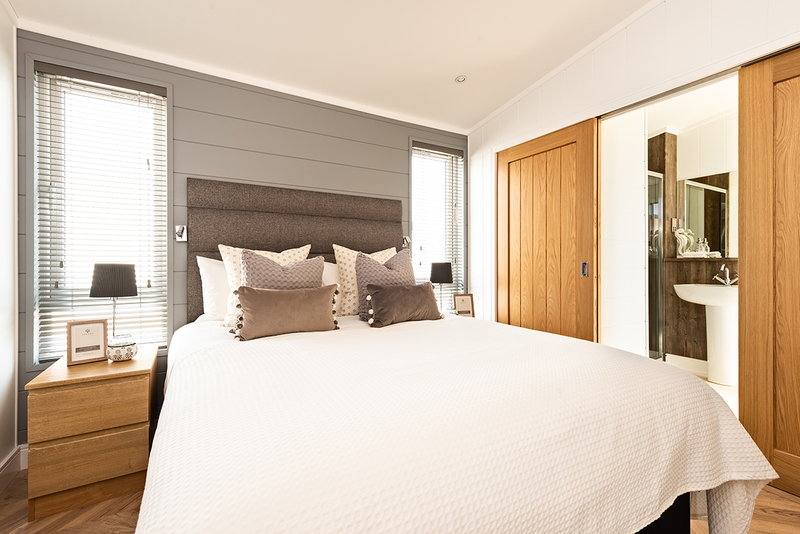 There are two large bedrooms both fairly equal in size, which both have their own ensuite with walk-in shower. 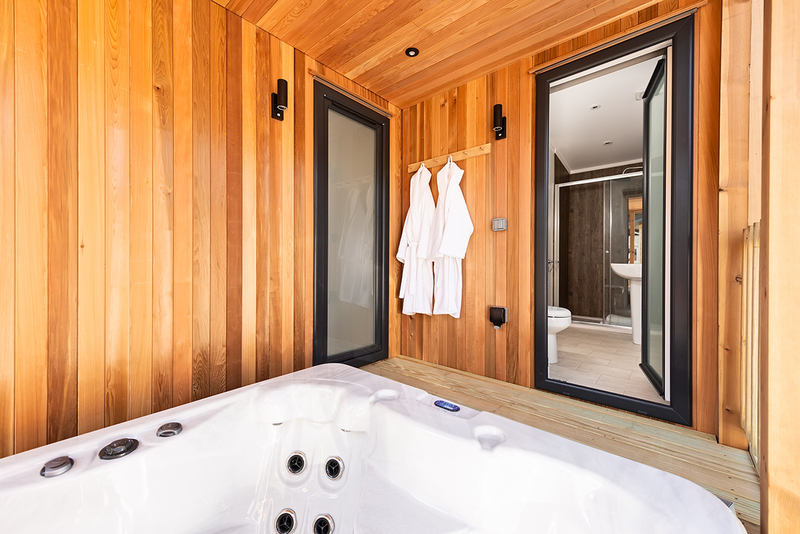 Both the bedrooms have doors leading to the hot tub deck which is very practical feature after soaking in the tub, and drying off. 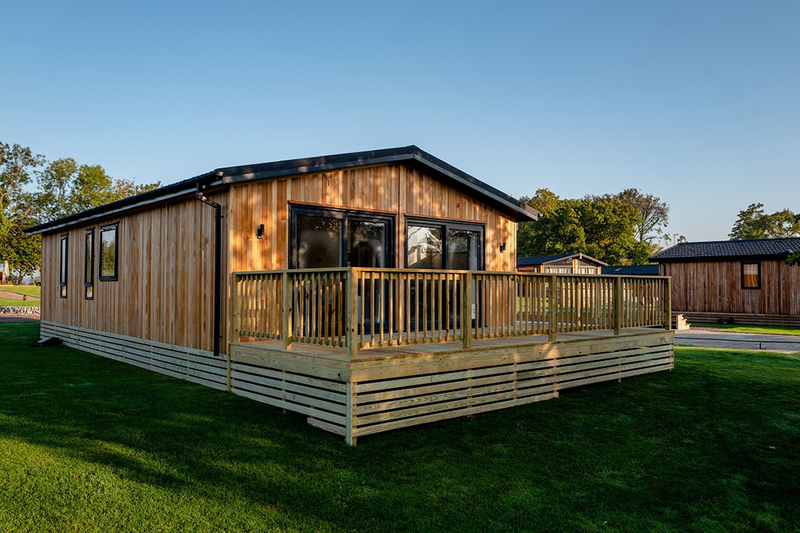 Externally there are lots of styles available with a range of different potential cladding options all giving the dovecote a extremely modern look and feel. 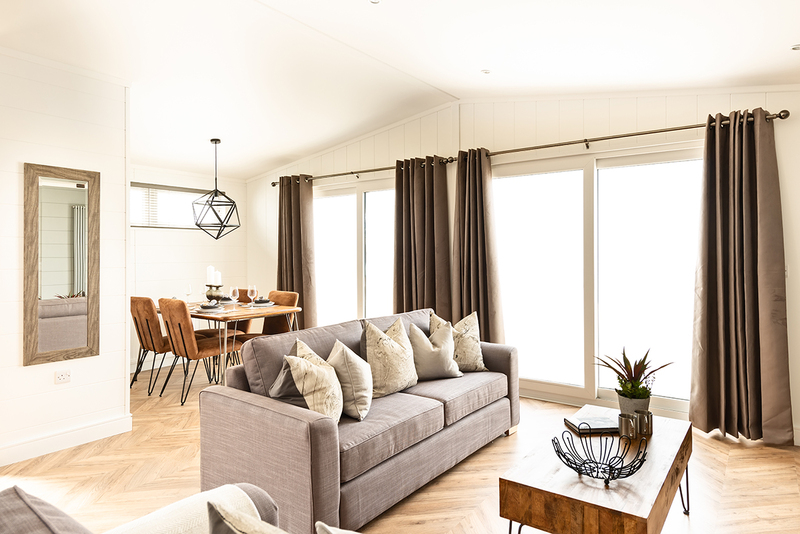 At the front of the property there are two sets of French doors leading on to decking, perfect for placing chairs and making the most of a sunny day. The interior is designed with class and elegance in mind and draws similarities to the Grand symphony in terms of its layout and charm. 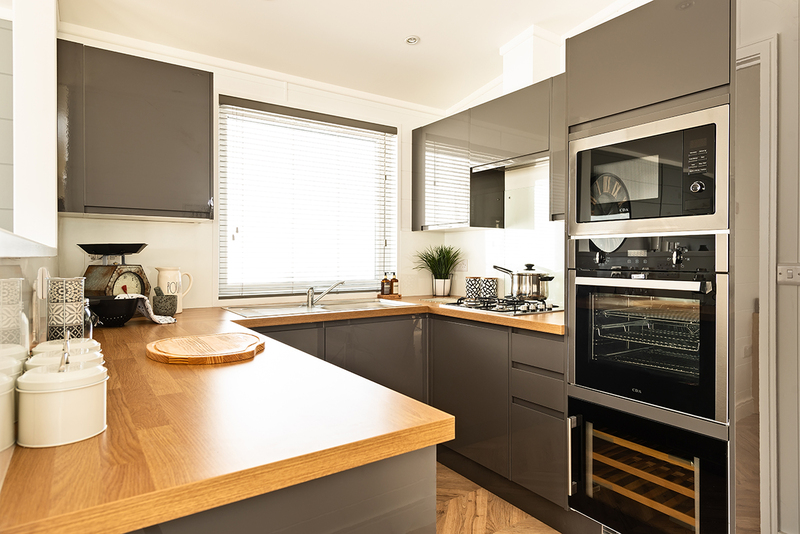 This gives the home a luxurious feel and the fine furnishings of the property make it a modern and contemporary home with the added bonus of a hot tub.